RC: My name is Rishiraj Singh Champawat. 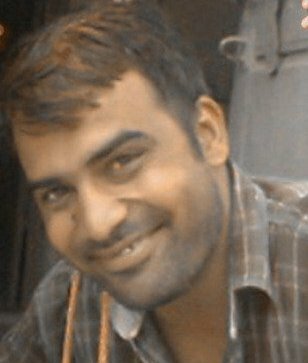 RC: My batch mates were Shinu Philip, Krishnapal Singh, Bhavesh Soni, Lokhraj Sandhu etc. 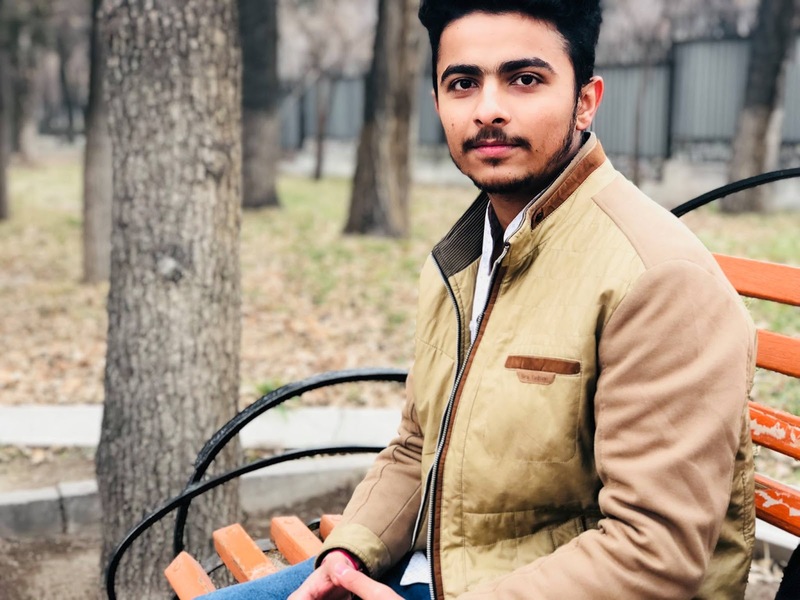 RC: School helped me form my foundation, I still remember those days when I used to bunk classes with my friends and play on the ground whole day and my teachers chasing me to the class . RC: Yes, I would urge juniors to focus on their studies as well as other activities.. Thought process of video clipping- improve certain areas of concern. Department wise videos to be shown as way of teaching is different in different subjects. Disadvantages and advantages of videos. Planned classes, students will not be pointed out, syllabus will be completed on time. Thursday, 8th February: Strategy of video recording was discussed in the PLP. Arrangements will be done in the classes that everyone comes in the video and we have a clear video. Functioning of mobile is proper or not before recording the session was discussed. Clear video clips to be taken. Necessary things to come in video. Voice modulation. Evidence to share with each other. Educators were shown videos: 1. An Ideal Education. 2. Do Schools Kill Creativity. AVI & ICN volunteer to work with other Schools to deliver better and have PLP sessions in other Schools. 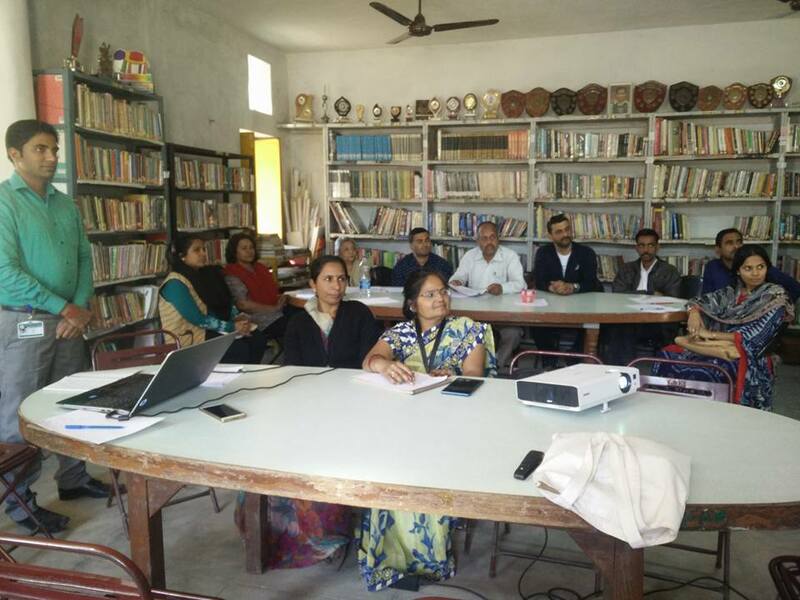 Friday, 9th February: The Annual Budget was shared, discussed and approved under the guidance of Chairman, Mr. Sandeep Dutt, Principal Ms. Rajshree Shihag , Admin Head, Mr. Sandeep Singh with the Board Members and SMC Members. Staff wished Mr. Byju Joseph a Happy Birthday. May God bless him and best wishes for his future. 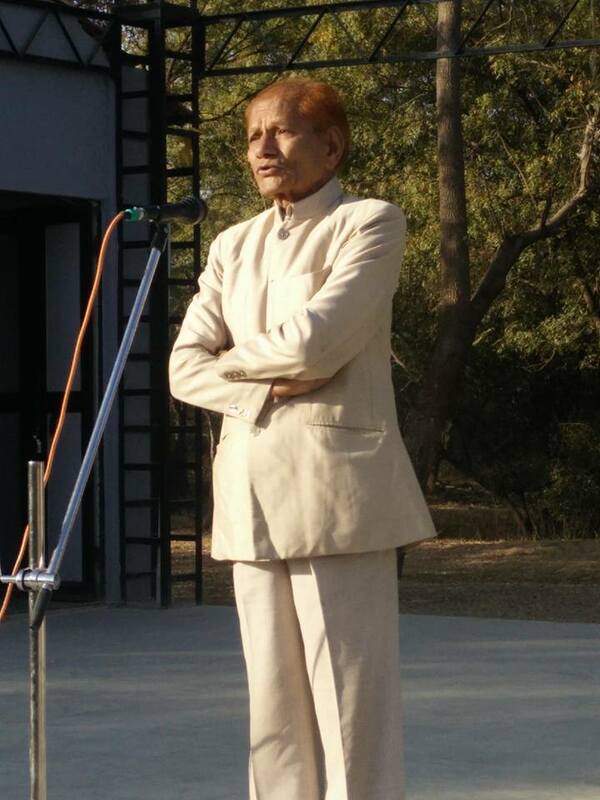 Mr. Bansilal Parihar GP/O of Yug Bhati/ VIII gave a motivational message in the school assembly to be focused in life and understand the role of being punctual with every aspect of life. He shared with children to be extraordinary, by doing simple things in an extra ordinary way. To set example he related a story of J. C. Bose, who was an energetic and overactive person. One day his father called him and told him to bring a magnifying glass and piece of paper and asked him to concentrate on the paper but J.C. Bose did not concentrate on the paper and did not understand what was happening. Then he asked his father what he was trying to explain. His father took the magnifying glass and paper and concentrated on the paper. After some time he sees a hole in the paper because of the sunlight. 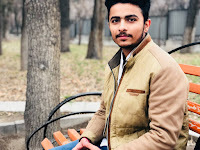 His father told him that he wanted him to concentrate on one thing and save time and not waste time to do other things then only we can get success be punctual and concentrate on things. BPR: I work in Mutual Funds as an adviser and I have joined in people in many schemes. BPR: My grandson Yug Bharti/VIII B and Shivangi Bhati from previous batch. BPR: No, I have not achieved my goal. The goal is like mirage, it cannot be reachable. BPR: Best results in every field like academics, sports etc. ED: Would you like to visit the school again ? Monday, 5th February: School celebrated its Social Science Week. 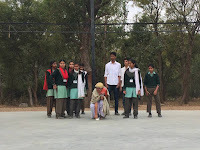 A number of activities were carried out in the Assembly. 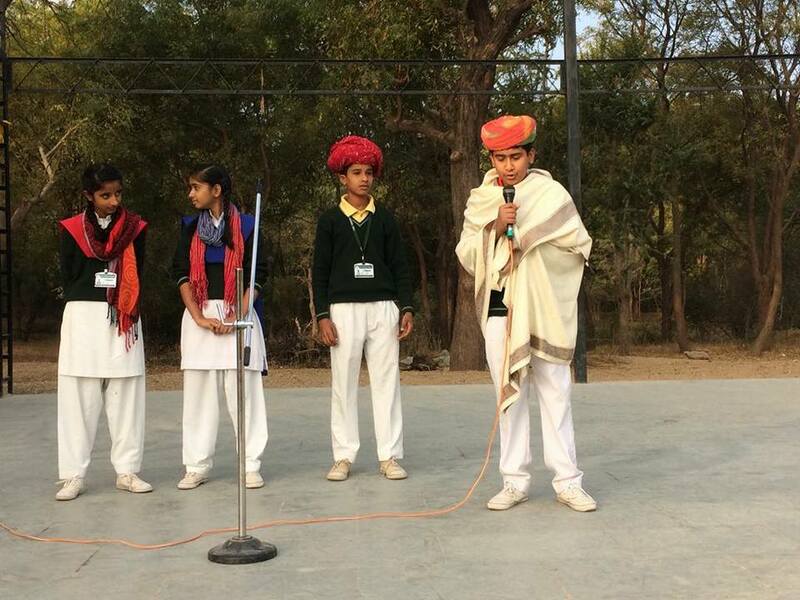 Students gave speeches on famous personalities; democratic rights, information about civilizations, wars and interesting facts. Mrs. Kusum Sharma gave some important information about Social Science. Neetu Deora/IX/GH: Spoke about importance of Social Science. Shruti Rajpurohit/IX/TH: Spoke about Democratic Rights. Kreena Rao/IX/DH: Spoke about Right to Equality. Uma Choudhary/IX/TH: Spoke about Right to Freedom. Krisha Dave/IX/GH: Spoke about Right to Freedom of Religion. 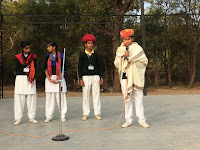 Diksha Choudhary/IX/GH: Spoke about Right against Exploitation. Ritu Chouhan/IX/RH: Spoke about Constitutional Remedies. Mansi Choudhary/IX/DH: Spoke about Cultural and Educational Rights. 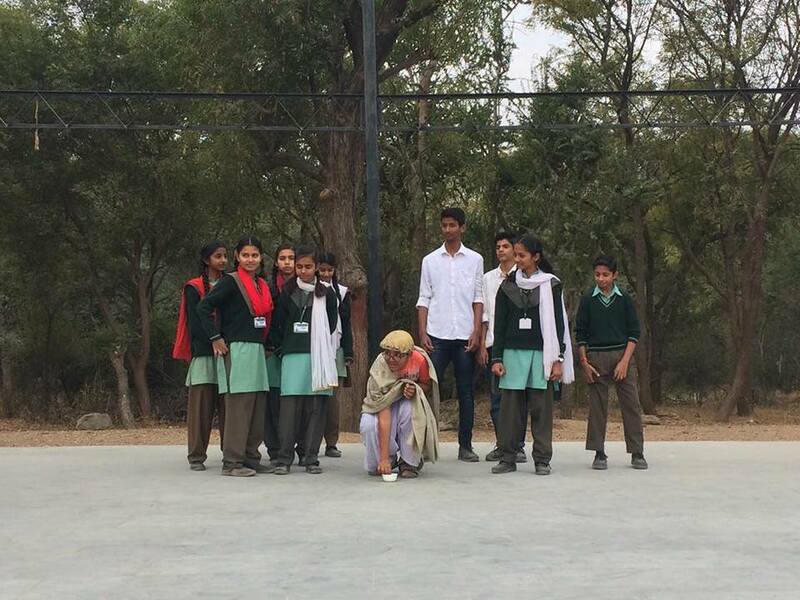 Class VIII students role-played a skit on "Dandi March". Ipshita Rathore/VIII A/RH: Quizzed the Assembly. Kritika Rajpurohit/VII/RH: Spoke about S.St facts. Priyanka Deora/VII/RH: Spoke about facts. Tanish Choudhary/VI A/TH: Coastal Plains. Riya Vaishnav/VI A/DH: The Great Indian Desert and The Peninsular Plateau of India. Dhruv Kumar/VI A/RH: Northern Plains. Meenakshi Sirvi/VI A/DH: The Northern Mountain Range of India. 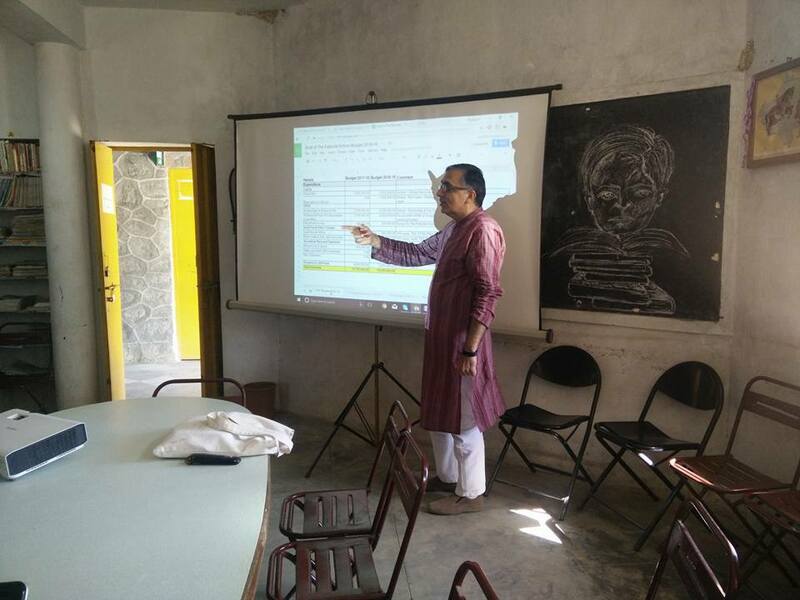 Wednesday, 7th February: The strong vision of The Fabindia School which was seen 25 years ago of being a Green School is at last fulfilled. The School has been awarded the School Change Maker Award from 1200 schools of the entire country. It is among the first four Best Change Maker Schools. 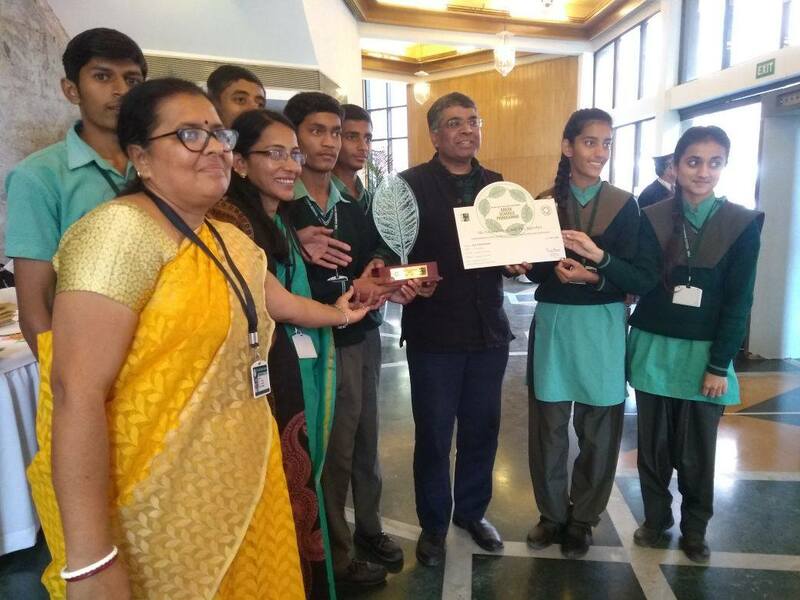 The other recipients were Delhi Public School Patna (Bihar), Kendriya Vidyalaya Army Cantt Pangode (Kerala), Kendriya Vidyalaya Ottapalam (Kerala) and Motilal Nehru School of Sports (Haryana). 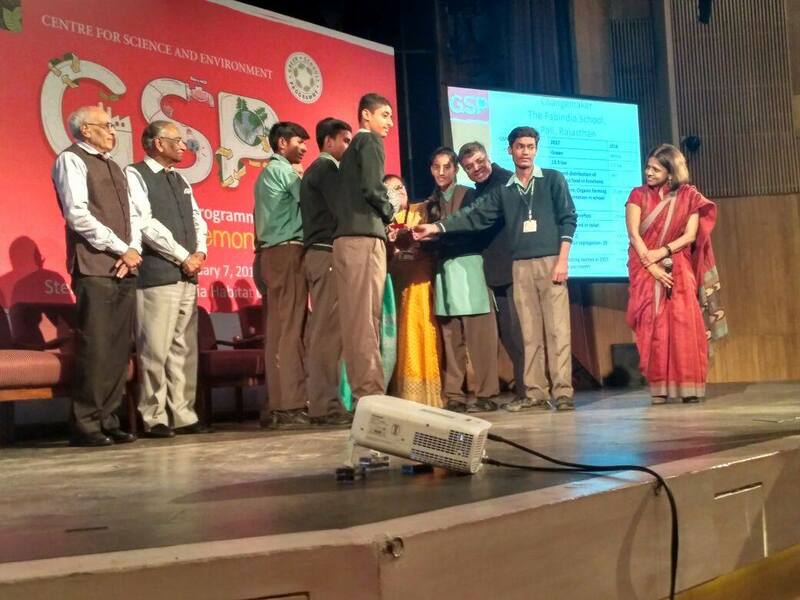 This year, 2,863 schools from 29 states and five Union territories registered for the GSP environmental audit. Of these, 1,193 schools submitted their completed audit reports to CSE. The auditing was done on various parameters including resource efficiency, low water use, energy efficiency, low waste generation, harvesting and recycling of water, and providing a healthier space for its occupants as compared to a conventional building. 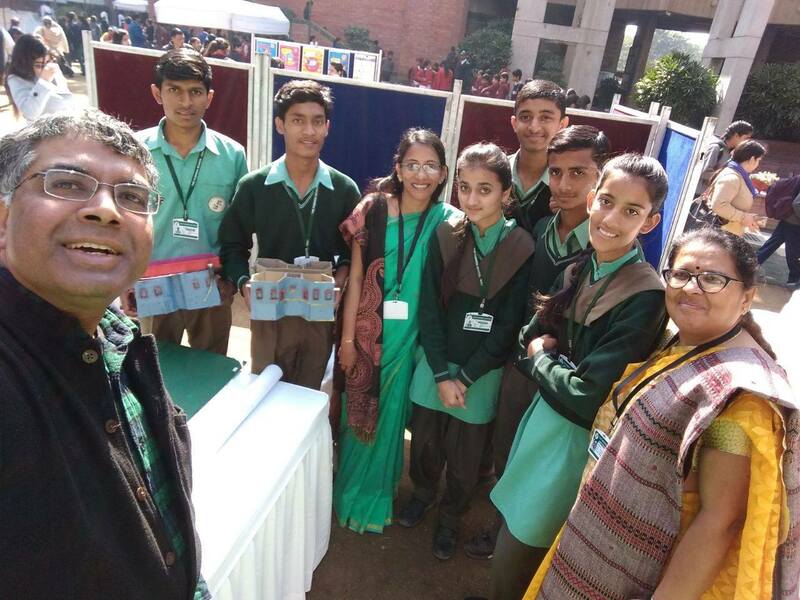 Six students of Class XI escorted by two teachers went to attend the GSO Award Ceremony organised at Stein Auditorium, India Habitat Centre, New Delhi. The students put up an exhibition and participated in the sit and draw competition. 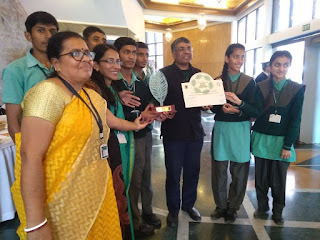 During this visit the students visited the Aravali Biodiversity Park, Goonj Resource Centre, Sulabh International Museum, Delhi, Indira Paryavaran Bhawan, Delhi and Green School: Moti Lal Nehru School of Sports Rai, Sonipat, Haryana. Congratulations to The Fabindia fraternity!